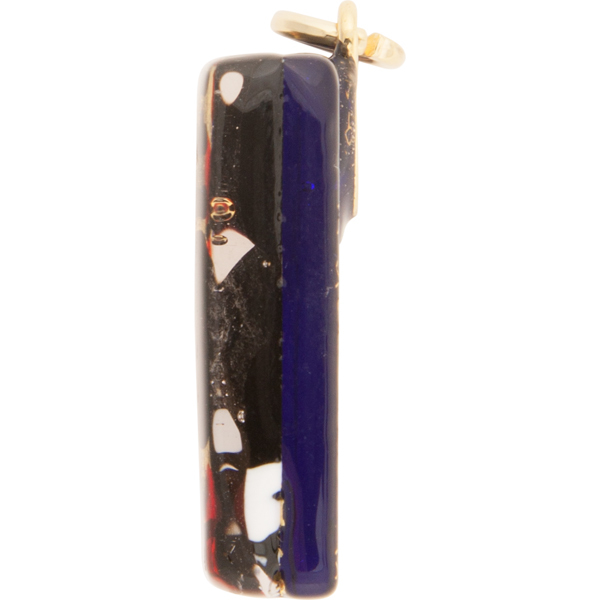 Great little Murano Glass fused skinny pendant with gold tone bail which is glued to the back. The size of the pendant is approximately 20mm by 40mm and the bail adds another 3-4mm in length. 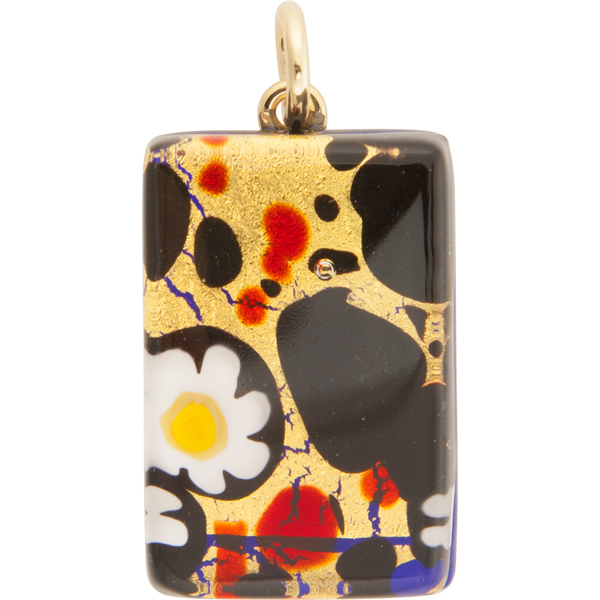 This pendant features yellow and white daisies spread along with black and red splashes of Murano Glass over 24kt gold foil. These are sandwiched between two layers of glass with the bottom of cobalt blue and the top of clear Murano Glass. The exact placement of colors vary.